Adxxx Review for Publisher- Should you join it or not? The advertising industry is at peak and every business wants to get online. To maintain the need, many ad networks came in existence and provides an excellent solution. Although still Google AdWords along with few other advertising networks like Bing, Infolinks, etc. are leading the segment of display advertising but still, there is a much scope for AdWords alternatives. At TricksRoad, I keep on writing about different advertising networks so that you can have a better option while monetizing your website. Recently, I came across an adult advertising network called Adxxx and in this Adxxx review, we will see whether webmasters should join it or not. Although Adxxx is for both advertisers and publishers but we will focus majorly on the publishers’ side. So, this Adxxx review is for all those publishers who want to monetize their traffic from adult ads. Be aware of your audiences as Adxxx is an adult advertising network and so you should understand your audiences. Let’s start with Adxxx Review for publishers and see the features of the network. Adxxx is a product from advertising solutions int. private limited which a Singapore-based company and running globally. The team at Adxxx are having rich experience of online advertisement and comes with 10+ years of experience. 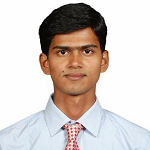 They have earlier done well with then CPM advertisements and have many CPM based projects running. 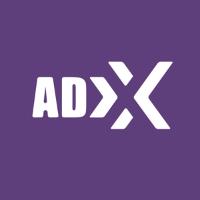 Adxxx project is one of the pioneers in native advertising in the adult industry and has shown a sustainable growth and operating efficiency of the system since the very launch. They already have hundreds of webmasters who delivers quality traffic and you can be the next. So, if you are looking for such type of ads for your websites, Adxxx is for you. Adxxx currently delivers over 960 Million ad impressions on a daily basis and so you can think of how big network it is. Several hundred publishers are onboard who delivers such a huge traffic to the advertisers. Here are some of the great features of Adxxx for their publishers. Currently, Adxxx is serving in six continents serving 180+ countries becoming a complete global company. So, you’ll be a part of the global team and can expect good revenue. eCPM is the effective cost per mille and is a standard term in the advertising industry. It is the outcome of a calculation of the ad revenue generated by a banner or campaign, divided by the number of ad impressions of that banner or campaign expressed in units of 1,000. Adxxx assures you for the full inventory as they have a long list of advertisers in their basket. Adxxx is majorly a performance-based advertising network delivering global ad solution. They deliver over 900+ Million impressions per day and 500+ Million clicks per month. Once you’ll sign up as a publisher, you will have a dedicated dashboard from where you can get the real-time statistics about the campaigns running. You can take actions in real-time which will help to earn more. Starting with Adxxx will hardly take around 5 minutes. Just sign up and integrate the code into your website for ads. The codes are search engine friendly and can work on any sites of any platform. This is one of the most notable features I feature I found with any ad network. Adxxx teams are available 24x7 for any kind of help. 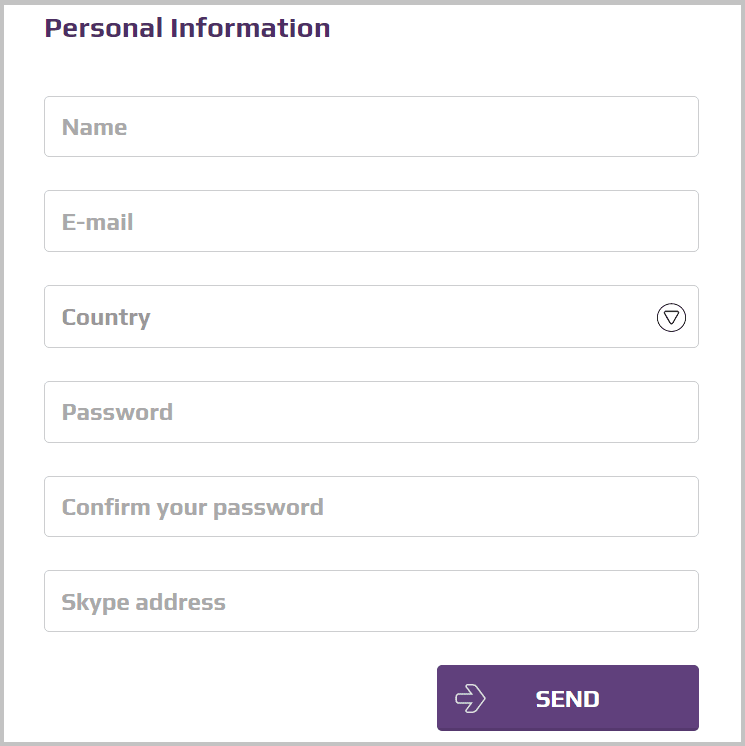 You can connect with them via the contact form or email. Another notable feature is the payment. Usually, ad networks pay on NET 30 basis but Adxxx pays on a weekly basis which is really helpful especially for small publishers. 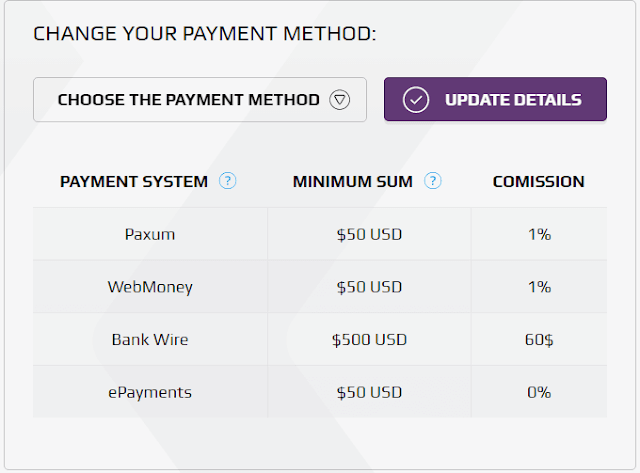 You can get paid through many channels including Paxum, PayPal, ePayments, WebMoney, Wire. To join Adxxx as a publisher, you need to first sign up. Use this link to sign up as a publisher. Once you’ll fill the above sign up form, you will receive an email asking to verify your account. Simply click the link shared in the email and you are good to go. Once your email account is verified, you can log in to visit the publisher area. The publisher dashboard will look like below. Now the first thing you will have to do here is, add the site which you want to monetize. To do this, just click the sites tab available in the left bar of the dashboard. Then click on Add site and you will have to submit the details of your website. Once submitted, Adxxx team will review your website which usually takes 3-12 hrs in business days. Then depending on the action, you can proceed further. Usually, the sites get approved. 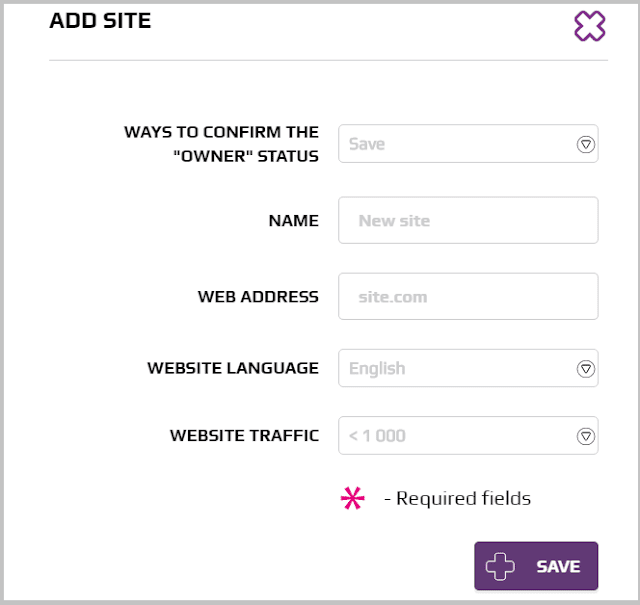 If your site will get approved, you can create the widget and add the code on your website. You can also configure the payment through setting tab. The threshold depends on the kind of payment option you’ll choose. Here are the details. You can also check the stat of the ads, impressions and many other reports from the same dashboard. Adxxx has an excellent referral program where you can earn money by referring other members. This referral program is available for publishers. By visiting the dashboard, you can generate your referral link. Here is the summary of Adxxx Ad network in this Adxxx review. Adxxx is a leading advertising network in their segment. With over 900 Million daily impressions they are serving the global online ad market. Also, the referral program, eCPM rate, 100% fill rate and weekly payments are the attractive features of the network. If you also want to monetize your website with such ads, Adxxx is for you. Share your feedback about the network and this Adxxx review. If you have any doubt, you can ask in a comment.